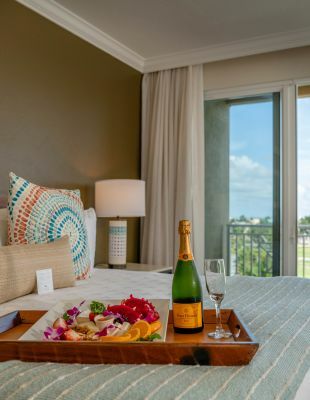 After the devastation of Hurricane Irma and subsequent $25m property-wide renovation, the Cheeca Lodge & Spa family is so pleased to welcome you back to a newly refreshed resort. All outlets and amenities are open and better than ever, so come on down – the sun is shining, the palms are swaying, the fish are biting, and the cocktails are cold and fruity! Cheeca and the entire Florida Keys community appreciate your support... The Legend is Back! We're very excited to announce that after several permitting delays beyond our control, on January 2, 2019 we broke ground on a brand-new oceanfront pool (our third on property) and a second tiki bar, dubbed 25 South, in the space previously occupied by our saltwater lagoon. We are planning to minimize disruptions and ask you to please "pardon our sand" as we work to deliver these fantastic new amenities to our guests very soon! Pardon our website as we work to photograph our property renovations. Click below to view our most recent gallery of images!